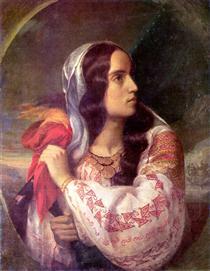 Constantin Daniel Rosenthal (b. Pest, Austrian Empire: Rosenthal Konstantin, 1820 – July 23, 1851) was a Romanian painter and sculptor of Austrian-Jewish birth and a 1848 revolutionary, best known for his portraits and his choice of Romanian Romantic nationalist subjects. 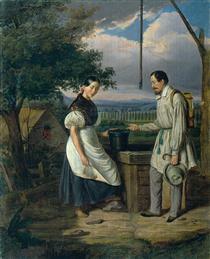 Born into a Jewish merchant family in Pest (part of the Austrian Empire at the time), he left the city at the age of seventeen in order to attend the Vienna Academy of Fine Arts, where he studied archaeological drawing (graduating in 1839) and made his first Romanian acquaintance, the painter Ioan D. Negulici. 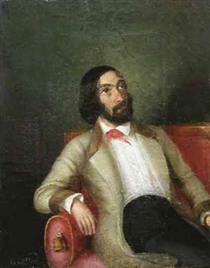 Rosenthal arrived in Bucharest, the capital of Wallachia, around 1842, where he was probably commissioned to paint the first in a long series of boyar's portraits. 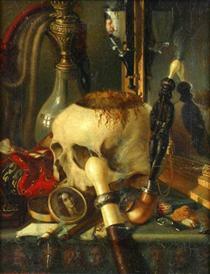 He was introduced to the liberal-radical circles by Negulici, becoming very close to C. A. Rosetti. This is the most likely date of his multiple portrait, kept only in its lithograph rendition, showing Rosetti embracing Rosenthal himself and a third, unknown person - Rosenthal painted himself wearing a phrygian cap. 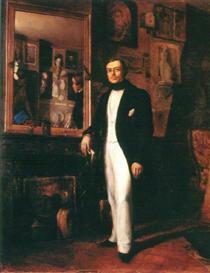 In 1846, the profit from his works afforded him a trip to England; upon his return to Paris, he was informed of his family's financial destitution, and left for Budapest in early 1847, only to leave in summer for Mehadia, and then, in August, for Bucharest. 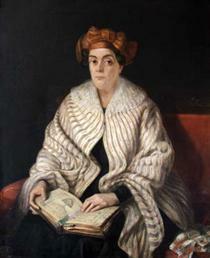 Rosenthal again joined the radical circles, this time as a member of the secret society Frăţia, which was by then masking itself as a literary society presided by Iancu Văcărescu, and was commissioned by Vasile Alecsandri to paint a portrait of the deceased Elena Negri after a daguerrotype. 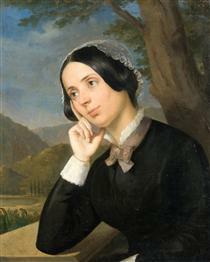 He also painted the portrait of Anica Manu, the wife of Aga Iancu Manu. Upon the outbreak of the revolution, Rosenthal was spared the first wave of repression ordered by Prince Gheorghe Bibescu - given the fact that he carried an Austrian passport. 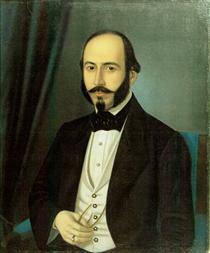 On June 18, 1848, soon after the Provisional Government took hold, Rosenthal applied for Wallachian citizenship (in theory, Romanian - as the new administrative body indicated its goal in the union of the two Danubian Principalities); the document giving him the right of naturalization justified it as "taking in view his talent and the active part he played in the revolution". 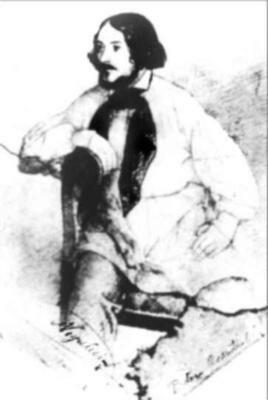 In his correspondence with Rosetti, he later testified: "I never would have thought that I could be as Wallachian as I am now". 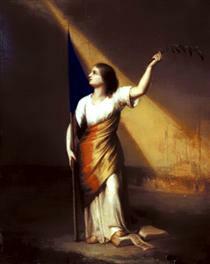 The Government assigned him the designing of a triumphal arch in Bucharest, one meant to mark the success of the revolution, and, probably, of a Statue of Liberty (the latter project only survives in a watercolour by Theodor Aman, Dezrobirea Ţiganilor - "The Freeing of the Gypsies"). In late September, after Ottoman troops intervened against the revolution, most radicals were arrested and transported on board small vessels on the Danube, to exile in various locations. 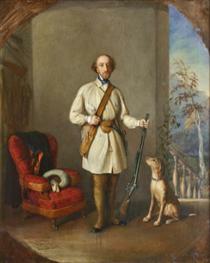 Rosenthal made public his request to join them, but was answered that Austrian protection still applied to him, and, although he requested to be viewed as a Wallachian, was denied permission to board. Subsequently, he and Rosetti's wife Maria followed the ships on shore from Giurgiu to Sviniţa, where they convinced the Austrian mayor to disarm the Ottoman guards, and allow the prisoners to go free. 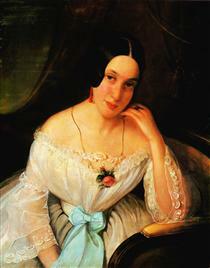 Maria Rosetti Constantin Daniel Rosenthal ? 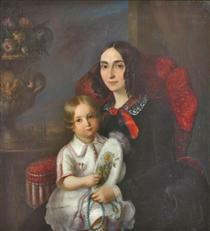 Anica Manu with her child Constantin Daniel Rosenthal ? C. A. Rosetti Constantin Daniel Rosenthal ? Convalescence Constantin Daniel Rosenthal ? Portrait of Nicolae Golescu Constantin Daniel Rosenthal ? 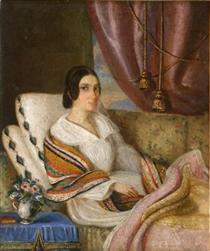 Portrait of a Woman Constantin Daniel Rosenthal ? Scene at a Fountain Constantin Daniel Rosenthal ?